Dr. Stapakis has been practicing dentistry for over 28 years in Southern California and is the owner of Pacific Coast Dental. She received her Doctorate of Dental Surgery from UCLA and was part of the first class in the country to be licensed in implant dentistry. As an undergraduate, she played softball and fenced all while working towards her Bachelor's of science in Microbiology. She and her family enjoy playing at the park with their playful puppy, Troy. When Dr. Stapakis isn’t at the office, she can be found reading, playing sports and spending time with her family. Dr. Stapakis has been the leading dentist at Pacific Coast Dental and attributes their success as a dental group to their mission: "Our vision is to be Orange County’s most patient-centric dental group; to create a place where patients can receive quality dental care. We do this by applying dentistry’s most effective technological innovations while giving old fashioned hospitality and care." Dr. Ota received her Doctorate of Dental Surgery from UCLA and her undergraduate degree with honors from Brown University in Human Biology. 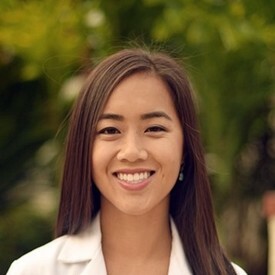 After finishing her DDS, she was invited to become a UCLA faculty member from 3 separate departments and is currently on faculty with the UCLA Hospital Dentistry program. Dr. Ota was a leader of a number of dental organizations at UCLA including the Academy of Sports Dentistry Club and the American Association of Women Dentists. While attending UCLA, she received the Craniofacial Research Scholarship and the American Association of Oral and Maxillofacial Surgeon Foundation Grant. She enjoys giving her time and dental expertise by volunteering with organizations such as Collette's Children's Home and the Ronald McDonald Camp. In her free time, she enjoys camping, hiking, and spending time with friends and family. At Pacific Coast Dental, Dr. Ota not only sees our regular patients but also specializes in complex medical issues including cancer patients. Dr. Shaw received her Doctorate of Dental Surgery from the University of the Pacific and finished her undergraduate Biology degree in 2 years. After finishing her studies, she continued her residency at the University of North Carolina at Chapel Hill and worked for 4 years in private practice in North Carolina. 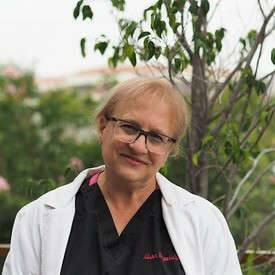 Dr. Shaw not only stays up to date with new dental advancements in a variety of dental organizations such as the Academy of Operative Dentistry and the American Dental Association, but she also finds time to help others who are less fortunate. She gives her time and dental expertise to local orphans in Enseñada, Mexico, through the Thousand Smiles Foundation. Apart from dentistry, she enjoys baking, hiking, camping with her husband and golden doodle, Skip. Together with Skip, who is trained and certified as a therapy dog, they volunteer and provide pet-assisted therapy with nursing homes like the Ronald McDonald House. At Pacific Coast Dental, Dr Shaw not only cares for our regular patients but also enjoys children’s/pediatric dental care. Dr. Yee received her Doctorate of Dental Surgery at UCLA and began practicing dentistry in 1990. Originally from Milwaukee, Wisconsin, Dr. Yee finished her undergraduate studies at the University of Wisconsin - Madison. At Pacific Coast Dental, Dr. Yee enjoys the challenge of fusing the art of restoring teeth along with the science of preserving dental health. 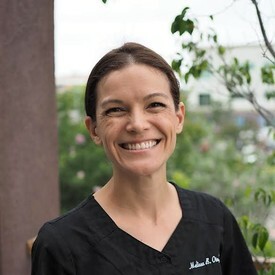 Although she likes the challenge of restoring teeth aesthetically and functionally, the most fulfilling part of her work are the relationships she develops with her patients. Apart from Pacific Coast Dental, Dr. Yee has spent many years serving the dental needs of orphans in Cambodia and an underserved hospital in India. In her free time, Dr. Yee plays roller hockey and also plays the drums for her church with the Worship Team band.